Dr. Wu was born and raised in Huangshan, Anhui Province. He obtained his B.S. degree from Lanzhou University and M.S. degree from Zhejiang University with Prof. Yan-Guang Wang. In the fall of 2004, he joined in the research group of Prof. Barry B. Snider at Brandeis University (Waltham, USA), where he completed his Ph.D. study. During 2009-2011, he did the post-doctoral research in Prof. Stephen L. Buchwald's laboratory at Massachusetts Institutes of Technology (Cambridge, USA). Dr. Wu was appointed as a Principle Investigator in Guangzhou Institutes of Biomedicine and Health (GIBH), Chinese Academy of Sciences in Oct. 2011. He has long been engaged in the research on organic synthesis and organometallics. Dr. Wu’s research is focused on three main areas: (1) Total synthesis of complex natural products and analogues with promising biological profiles; (2) Transition metal-catalyzed method development for umpolung reactivity-oriented reactions; (3) Drug discovery based on our synthesized small molecule agents. 1. Wu, X.; Fors, B. P.; Buchwald, S. L.* “A Single Phosphine Ligand Allows Palladium-Catalyzed Intermolecular C-O Bond Formation with Secondary and Primary Alcohols” Angew. Chem. Int. Ed. 2011, 50, 9943-9947. 2. Cai, X.-C.; Wu, X.; Snider, B. B. * “Synthesis of the Spiroiminal Moiety of Marineosins A and B” Org. Lett. 2010, 12, 1600-1603. 3. 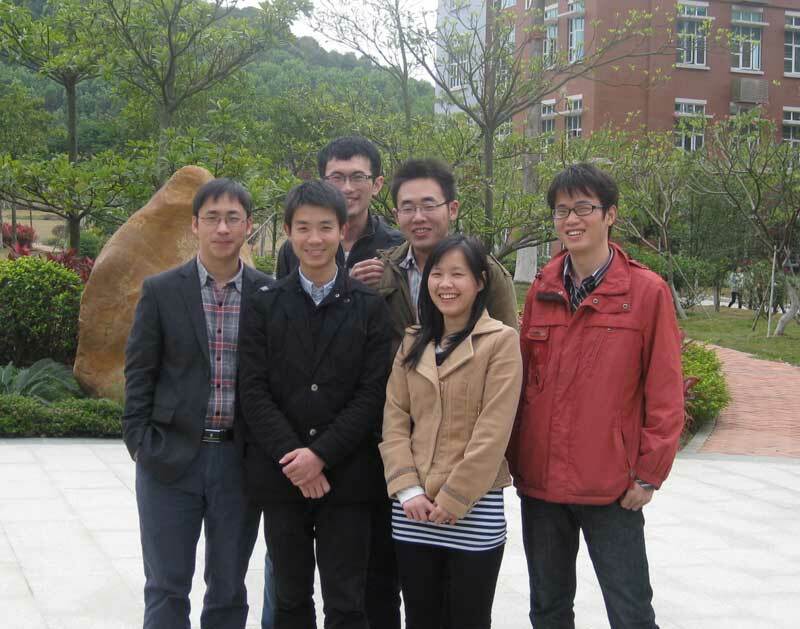 Wu, X.; Zhou, J.; Snider, B. B. * “Introduction of the ()-Berkelic Acid Side Chain and Assignment of the C-22 Stereochemistry” J. Org. Chem. 2009, 74, 6245-6252. 8. Wang, Y.-G.*; Wu, X.-X. ; Jiang, Z.-Y. “A Mild and Efficient Selective Tetrahydropyranylation of Primary Alcohols and Deprotection of THP Ethers of Phenols and Alcohols Using PdCl2(CH3CN)2 as Catalyst” Tetrahedron Lett. 2004, 45, 2973-2976.